Radical Events in strategic partnership with Social Talent has launched North America\'s first International Certification in Internet Recruitment. Radical Events is pleased to announce the launch of the North American BlueBelt in Internet Recruitment Certification. We have partnered with the renowned European Recruitment Training company Social Talent to bring the BlueBelt Certification to North America. The Blue Belt in Internet Recruitment is the second of three levels in our Black Belt in Internet Recruitment qualification. The aim of this module is to enable recruiters to source candidates or leads for any job, anywhere in the world, using only their internet browser. Upon completion of this one day module attendees will have a solid understanding of boolean operators, modifiers and commands and will be able to find 100% of LinkedIn profiles using only a free account, find candidates on Twitter, Blogs, Google Plus, Video Sites, Blogs, Staff Directories and much more. Most importantly attendees will be able to provide their expert recruitment knowledge in building search strings and following "rabbit holes" to produce candidates that other recruiters will not find. This module is suitable for recruiters, human resource professionals and recruitment marketers who have at least a moderate understanding of social and professional networks and whom are comfortable searching the internet. To date, over 500 recruiters have completed our Blue Belt in Internet Recruitment worldwide. Radical Events is a Premiere Recruitment Training/Learning company focused on Advanced Sourcing and Social Recruitment and Social HR Training as well as the development of the Radical Planet and SourceCamp UnConference Franchises. 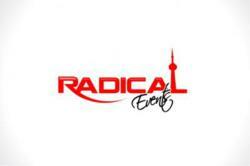 Radical Events is based in Toronto, Ontario, Canada.